Hire a company that offers rapid repairs and affordable solutions. When you need same-day water heater repair in Orange County, CA, you can count on the team at Professional Plumbing, Inc. In addition, if you are in need of water heater installations, our family of technicians can get your hot water flowing again promptly. Tankless Water heaters, also called On Demand or Instantaneous water heaters, do not have a tank to store the heated water. It takes the same amount of energy (gas or electric) to heat a gallon of water, whether it is instantaneous or over a period of time. The real savings are realized by not having to keep many gallons of water hot all day and night waiting for it to be used. Check out the Pros and Cons and then call us to discuss your options. Water heaters are changing constantly. There are so many choices, Regular water heaters with tanks, tankless water heaters, condensing water heaters, boilers, and electric water heaters. Do you need help choosing which one is right for you? Give us a call so we may discuss your options and see if you qualify for one of the rebates or tax credits. 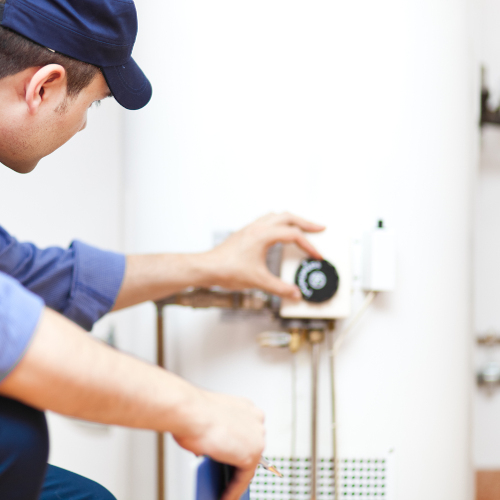 We know when your water heater stops working it affects everyone in your house. Yes, we know it’s a great excuse to take that special someone out to dinner, but it could also mean a cold shower tonight or in the morning as well. With our fast, professional, hassle-free service, you may be able to make that dinner date and still have a warm shower in the morning. With the money you will save after a comparison to other plumbing companies, you may even make it a little nicer restaurant and add a bottle of bubbly. 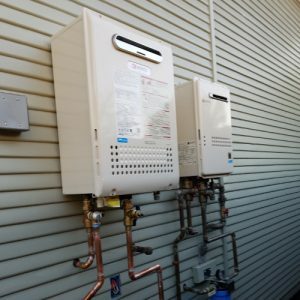 As a leading provider of tankless water heater installation, we get great prices from our distributors, which we pass on to you. Despite this specialization, we also provide our clients with standard tank water heaters as well. The gas company and Edison have great rebate programs for installing tankless water heaters. We would be happy to help you check with them to see if you qualify for any of the rebates they are offering at this time. We also provide natural gas leak detection for added safety. Contact us today to hire a group of experienced plumbers for water heater installations. We proudly serve customers in Orange County, California, and surrounding communities.